Find all crystals in Escape the Past. 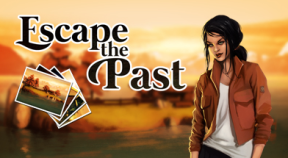 Find all pieces of letters in Escape the Past. Complete chapter 1 in less than 15 minutes. Unearth the chest within 4 minutes. Complete chapter 2 in less than 15 minutes. Repair the radio within 4 minutes. Complete chapter 3 in less than 15 minutes. Switch the tank back on within 4 minutes. Complete chapter 4 in less than 15 minutes. Use the dynamite within 4 minutes.